KERONSOFT is a software development company with expertise in digital photo, digital video, DVD making applications. It also provides multimedia software and firmware solutions for personal computer, mobile device and consumer electronics manufacturers. Our creative and talented team designed the products which enable users of all levels to easily and effectively edit, enhance, and manage their digital photos and videos and enjoy their creative works. Your feedback is important to us in order to get ideas of how to make products for you. Many features and portions of the interfaces continue to be influenced by comments from our users. If you have an idea of a new feature, or a better way of doing something, please drop us a note. Now you can try them free of charge! 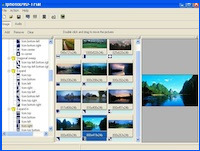 DVDBuilder Pro is the express version of Iphoto. It downloads the pictures from your favorite web gallery. IphotoDVD Wizard is a powerful, splendid application for DVD Photo Slideshow. Web Pictures Downloader is the express version of Iphoto. 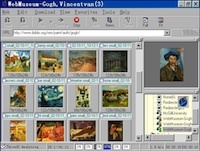 It downloads the pictures from your favorite web gallery. IphotoDVD creates your own DVD and VCD photo slide shows with transitions and music! Newsgroups Pictures Downloader is a sepcialize tool for newsgroup picture reader.